XO-Bus Lite is a framework designed to make communication with Numato Lab’s FPGA boards easier from a host. 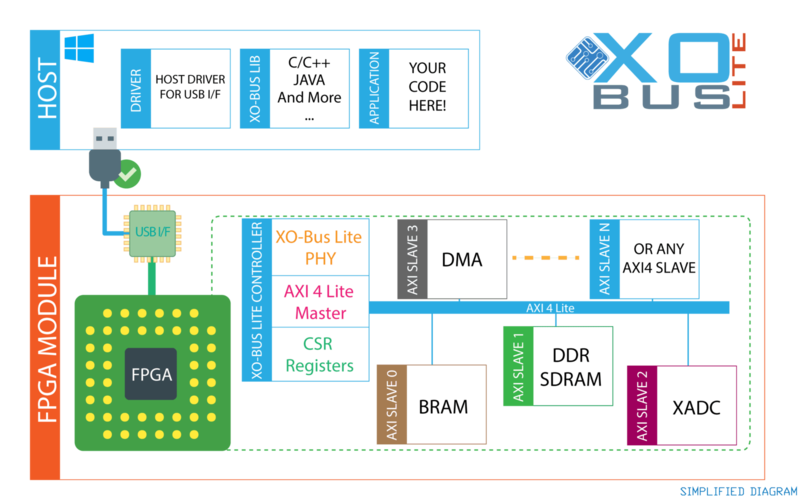 XO-Bus Lite accelerates the development by providing an intuitive way of transferring data into and out of the FPGA and attached memory devices such as DDR SDRAM. This framework acts as a standard AXI 4 (Lite) Memory Mapped Master, and it can control any AXI4 compliant slaves. This makes it very easy to map AXI4 slave IPs to any memory mapped address and access the registers/Memory efficiently using a small set of very intuitive host APIs. 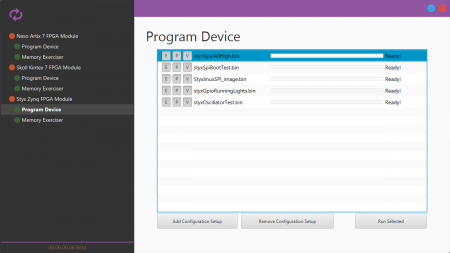 This software is currently in beta phase and is available to select OEM customers for evaluation. 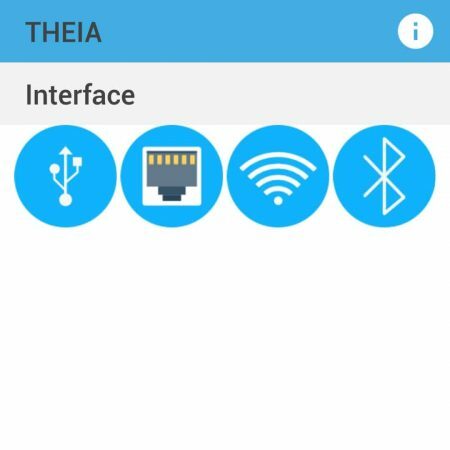 Please contact us if you have purchased a compatible hardware product in the past and would like to evaluate beta version. XO-Bus Lite is a framework designed to make communication with Numato Lab’s FPGA boards easier from a host. XO-Bus Lite accelerates the development by providing an intuitive way of transferring data into and out of the FPGA and attached memory devices such as DDR SDRAM. This framework acts as a standard AXI 4 (Lite) Memory Mapped Master, and it can control any AXI4 compliant slaves. 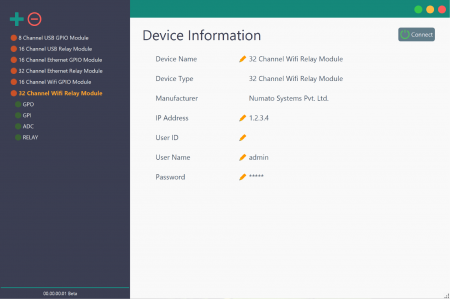 This makes it very easy to use existing AXI 4 infrastructure provided by Xilinx Vivado, ISE and XPS. This feature itself makes XO-Bus Lite Framework very powerful. Users can use most if not all IP cores that support AXI interface and read/write to memory and memory mapped registers on the devices directly from host PC. There is no need for any microprocessor (such as Microblaze) to mediate the data transfer, though XO-Bus Lite can also work alongside Microblaze or any other AXI Master. This gives users high degree of flexibility in their designs, faster time to market while being a low cost solution. Host to Memory data transfer demo.